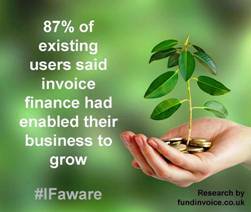 Our research has found that 1 in 3 UK companies have not heard of invoice finance, a product which was recommended by 98% of existing users that we surveyed, and which can be the answer to the cash flow headaches of businesses. As a result we have launched the #IFaware campaign to try and spread the word about these products amongst businesses across the UK. We are asking you to help by sharing this simple image. If you need information about invoice finance please see the bottom of this page. We want to build invoice finance awareness, which is difficult when you don't have a marketing budget! So we would kindly ask for your help in spreading the word through social media, blogs and the web - see below for links to our graphic on various social media sites. We are using the hashtag #IFaware on social media - so please use that hashtag so we can see, and thank, the people that are helping us spread the word! <a href="https://www.fundinvoice.co.uk/invoice-finance/invoice-finance-ifaware.html" ><img src="https://www.fundinvoice.co.uk/images/ifaware-invoice-finance.jpg" alt="Help Raise Awareness Of Invoice Finance" width="450" /></a><br /><a href="https://www.fundinvoice.co.uk/invoice-finance/invoice-finance-ifaware.html" >Building Invoice Finance Awareness</a> with <a href="https://www.fundinvoice.co.uk/" >FundInvoice</a>. 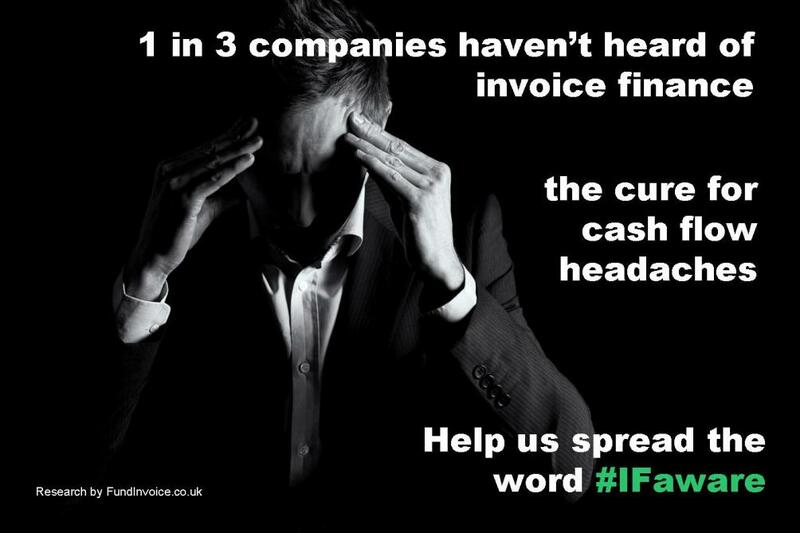 <a href="https://www.fundinvoice.co.uk/invoice-finance/invoice-finance-ifaware.html" ><img src="https://www.fundinvoice.co.uk/images/ifaware-invoice-finance.jpg" alt=" Help Raise Awareness Of Invoice Finance " width="1000" /></a><br /><a href="https://www.fundinvoice.co.uk/invoice-finance/invoice-finance-ifaware.html" >Building Invoice Finance Awareness</a> with <a href="https://www.fundinvoice.co.uk/" >FundInvoice</a>. If you want to find out more about invoice finance we have extensive product information and market research available. 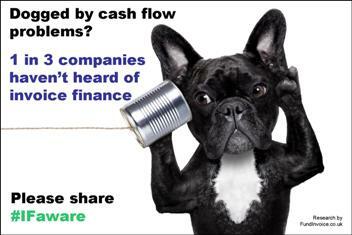 Dogged by Cash Flow Problems?